Brussels hosted a meeting of Azerbaijan’s Foreign Minister Elmar Mammadyarov and his Armenian counterpart Edward Nalbandian amid the high-tension over the Nagorno-Karabakh conflict. The Armenian-Azerbaijani Nagorno-Karabakh conflict has long posed a real threat to the security in the South Caucasus region. The recent provocation on the frontline and the murder of Azerbaijani civilians by Armenian militaries considerably increased the likelihood of a resumption of hostilities. The OSCE Minsk Group, which deals with finding a fair solution to the conflict, organized the meeting with Mammadyarov and Nalbandian to discuss modalities of further work on the settlement of the Nagorno-Karabakh conflict, the OSCE reported. Moreover, the ministers and the OSCE MG co-chairs agreed to meet again in New York in September on the margins of the 72nd Session of the United Nations General Assembly. The sides also discussed the current situation on the contact line between the Armenian and Azerbaijani troops. It is noteworthy that while the Armenian Foreign Minister was at the meeting in Brussels, his countrymen, as usual, were shelling Azerbaijani positions on the frontline. Commenting on the meeting in Brussels, Spokesman for the Azerbaijani Foreign Ministry Hikmat Hajiyev noted that Azerbaijan supports continuation of substantive talks on the settlement of the Nagorno-Karabakh conflict. “During the meeting, the Azerbaijani Foreign Minister reiterated that in order to reduce tensions and ensure security in the region, the Armenian Armed Forces must be withdrawn from Azerbaijan’s occupied territories according to the plan of the mediators,” the spokesman said. “The issue of creating any mechanisms was not discussed at the meeting in Brussels,” he said, adding that the Minsk Group co-chairs will visit the South Caucasus region once again in autumn. The last visit of the Minsk Group to the region brought no tangible results. In contrast, the Armenian armed forces intensified their attacks on the Azerbaijani positions, although the co-chairs were still in the region, thus killing an Azerbaijani soldier on June 15. This killing and the murder of two Azerbaijani civilians afterwards are the clearest evidence that Armenia, the aggressor country that illegally occupies 20 percent of Azerbaijani lands, has no respect to the international society, and in particular to the OSCE Minsk Group. While the co-chairs repeatedly urge the sides to strictly adhere to the ceasefire and take steps to reduce tensions along the line of contact, Armenia does exactly the opposite. 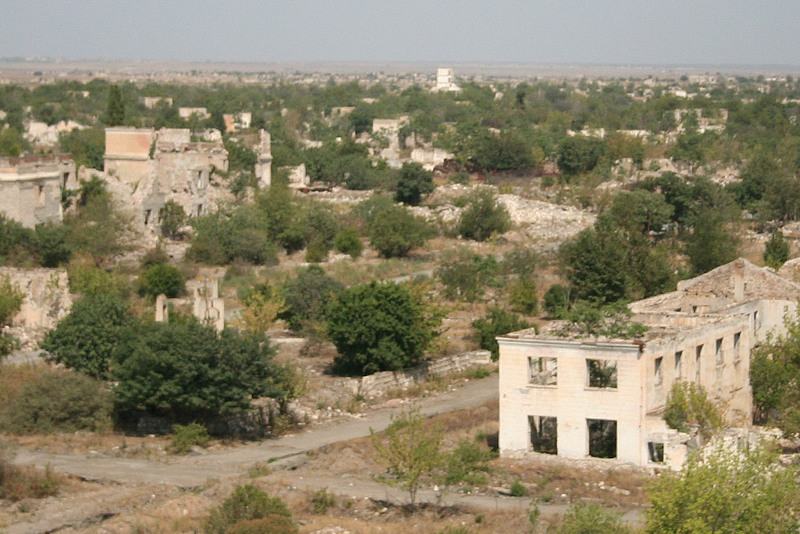 The country does its utmost to preserve the status quo in Nagorno-Karabakh. Azerbaijan voices readiness for holding substantive talks with Armenia, but the OSCE Minsk Group doesn’t exert any pressure on Armenia, thus the Nagorno-Karabakh conflict approaches its third decade of existence.